For the researchers and historians of the world, many mysteries remain regarding the origins and the sudden disappearance of the Sherdens, one of the “Sea Peoples” who defied Egypt during the XIXth and XXth dynasties (reigns of Minephtah and Ramses III), and who made the kings and pharaohs of the end of the Bronze age shake with fear. Yet, the traces these warriors left behind on Filitosa’s monuments are also found in other places in the Mediterranean, from Sardinia to the Middle East, in Mycenae, Cyprus or Byblos, and even recorded on papyrus and Egyptian temples; as well as on the illustrations of some warriors appearing in scenes of naval battles decorating the funerary temple of Ramses III in Medinet Habu, in Karnak. This analysis has given rise to a number of debates between various specialists, in particular since the discovery of new archaeological facts and the discovery of new monuments enabling a reassessment of various theories around this strange component of the “Sea Peoples”. Recent scientific works tend to say that Filitosa would be the assumed cradle of the Sherdens. 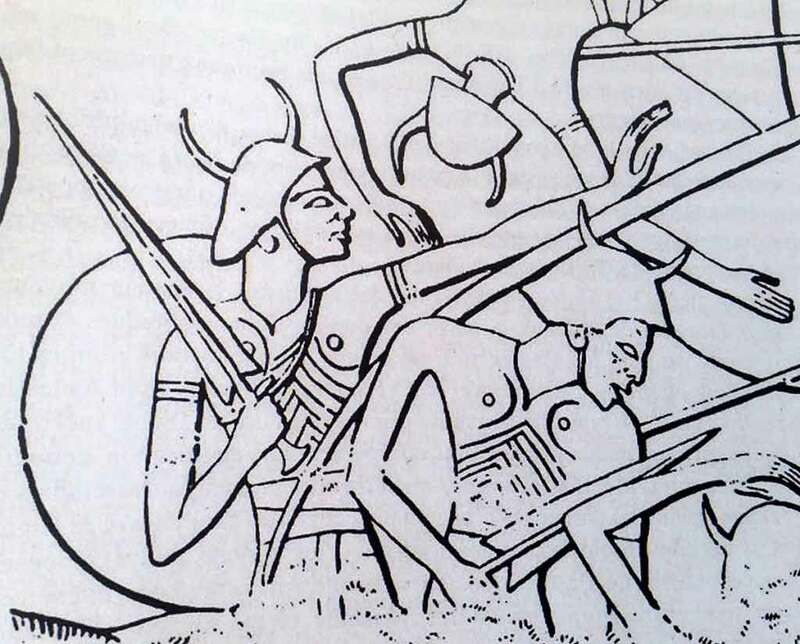 These new researches specify that these warriors may have fought like pirates in the Aegean Sea and mercenaries of the King of Byblos, then as a part of the “Sea Peoples”, and had become notorious as the Pharaoh’s most fearsome elite guard, at the end of the Bronze Age. If, thanks to Filitosa and the first works of the researcher Roger Grosjean, a large part of the chronology of Corsican Prehistory and Protohistory was put together (the site having been occupied over a very long period – from the ancient Neolithic, through to the Bronze Age, until de Roman Age), for 21st-century experts, this place is the apex still visible of statuary and Megalithic art in the Mediterranean. According to the Regional Registrar of archaeology, Franck Leandri, the last discoveries confirm the links between Filitosa and the Protohistorical cultures of Oriental Mediterranean. The site seems to be a focal point of Mediterranean Prehistorical and Protohistorical cultures. A harmony that would create in this place, one of the most beautiful collections of Protohistorical art in Europe.